The Royal Industries ROY7715SB replacement stool seat has a 14-inch-diameter-by-4-inch-thick tailored seat. 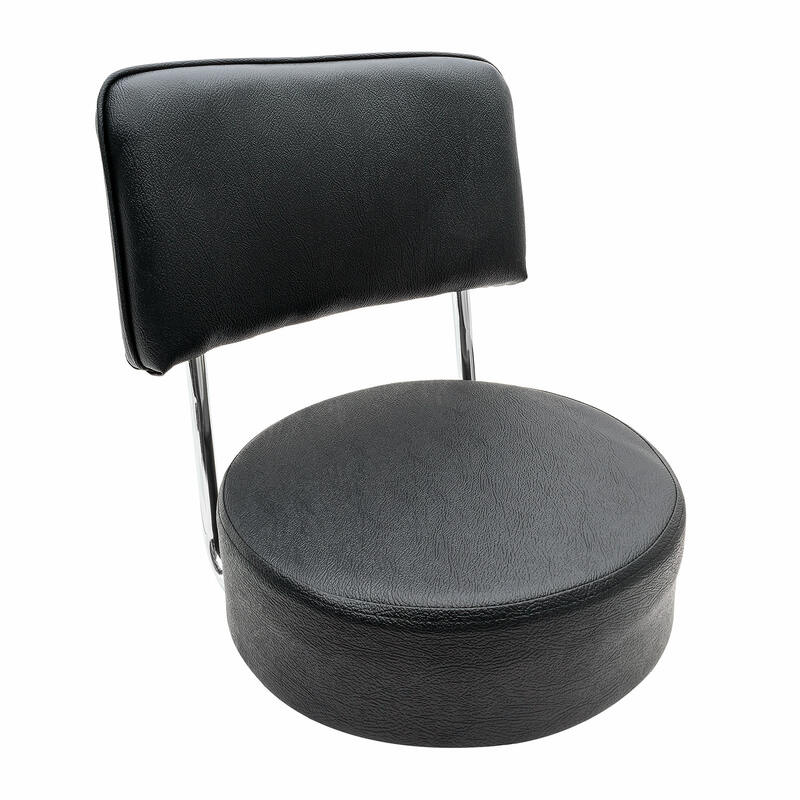 Its back is 1-inch-thick vinyl upholstery, providing padding that resists wear and tear. Since the seat is black, it hides stains and scratches. Not sure what kind of furniture you want? We've put together the information you need to make a decision in our restaurant furniture buyers' guide. "Replaced regular bucket seats with these like the looks Customers don't like them saying backs lean back too much,seats are smaller and seem too..."
"I'm so happy I bought these! These bar stool seats are nicely made, very comfortable and a big improvement over the original seats on my barstool..."
"Ordered 4 replacement seat tops for barstools that I have had for 5 years. Had been thinking of replacing until I found these online. For the c..."
"Replaced regular bucket seats with these like the looks Customers don't like them saying backs lean back too much,seats are smaller and seem too heavy? Where they seem to want to tip easily when moved I considered maybe I should have flat swivel rather than pitched to pull backs more vertical idk they show as replacement for existing royal dbl ring stools I have in service I stoped the replacement half way thru don't know if I'll replace other 18 or not"
Great product at a good price delivered fast. "I'm so happy I bought these! These bar stool seats are nicely made, very comfortable and a big improvement over the original seats on my barstools. Delivery was faster than I expected." "Ordered 4 replacement seat tops for barstools that I have had for 5 years. Had been thinking of replacing until I found these online. For the cost of 2 replacement stools I got 4 new tops that made mine like brand new. Shipping was fast and affordable." "These stool seats are very comfortable and I like them." "Great shipping and product...highly reccomended !!!"